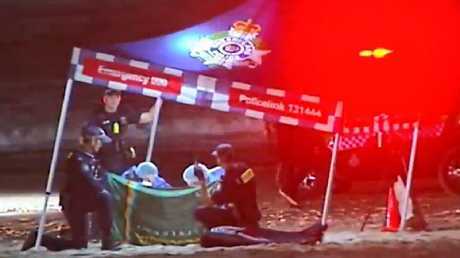 THE parents of a baby found dead on Surfers Paradise beach were homeless and living in Gold Coast parks with their young child. 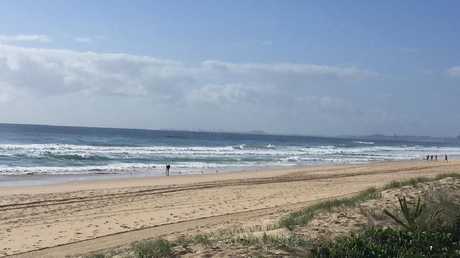 The nine-month-old girl was found unresponsive "on the edge of the surf" off Staghorn Ave about 12.30am today. Police and paramedics were unable to revive her. The girl's parents, a 48-year-old man and a 23-year-old woman, are in police custody and are being questioned over the tragedy. 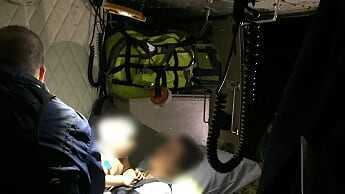 They were found at Broadbeach after their baby was pronounced dead at the scene. The couple is believed to be homeless and have been living in parks in and around the Gold Coast with their young child. Detective Inspector Marc Hogan, of Gold Coast CIB, confirmed the couple was "known to police". "This is a very tragic event. It's a very sad situation," he said. "It will impact a lot of people." Insp Hogan said there were no visible signs of injury on the baby girl. He said a ground and air search had yielded little evidence, with the lack of physical evidence giving "some indication of what may have happened". 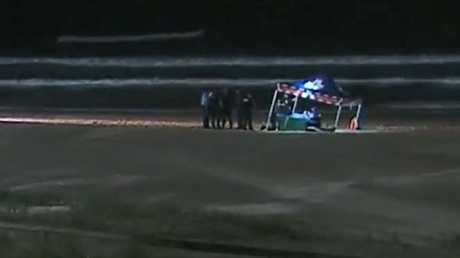 The child was found unresponsive on Surfers Paradise Beach near the intersection of Staghorn Avenue and the Esplanade at around 12.30am when police and paramedics were called. Police at the scene early this morning. Insp Hogan said there were no visible signs of injury on the little girl but it was "very early" in the investigation. He said the Homicide Squad was involved and NSW police were assisting as there had been "some movement" of the couple between Tweed Heads and the Gold Coast. Insp Hogan said detectives were studying CCTV footage from Surfers Paradise and Broadbeach and appealed to the public for information. The girl's body was discovered by a member of the public who reported it to police. It is not believed that the person who made the discovery was a Schoolie. It's understood several Schoolies were near the scene at the time of the discovery, with one mother saying her daughter was distraught and inconsolable after being told what all the commotion was about. Police are treating the death as "unnatural" and said it could be considered suspicious. They are yet to formally identify the child, who was initially believed to be aged around two. It's understood the little girl may have been in the water before her death. Two people found near the scene a short time later are speaking with detectives this morning, though a police spokesman said at this stage it is unknown if the pair are witnesses or are known to the child. Residents said they heard nothing out of the ordinary overnight. "I saw the ambulance, and I heard screaming before that, but with the Schoolies around at the moment there's lots of screaming going on, it's impossible to say whether it was harmless fun or not," one resident, who declined to be named, told The Gold Coast Bulletin. Another resident, who has lived near the Esplanade for 30 years, said night time noise was common in the area. "There's often people around at that time of night, there's motorbikes passing by and people leaving the nightclubs. People will go down onto the beach," he said. "My biggest question is how did the child get there? And why didn't more people see her?"